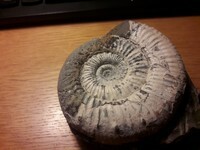 I bought this ammonite on ebay from a collector in Kings Lynn. Could anyone help me identify it? It was described as collected on a sea dive. 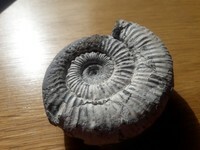 Certainly not a Dactylioceras, and very likely not Yorkshire coast. 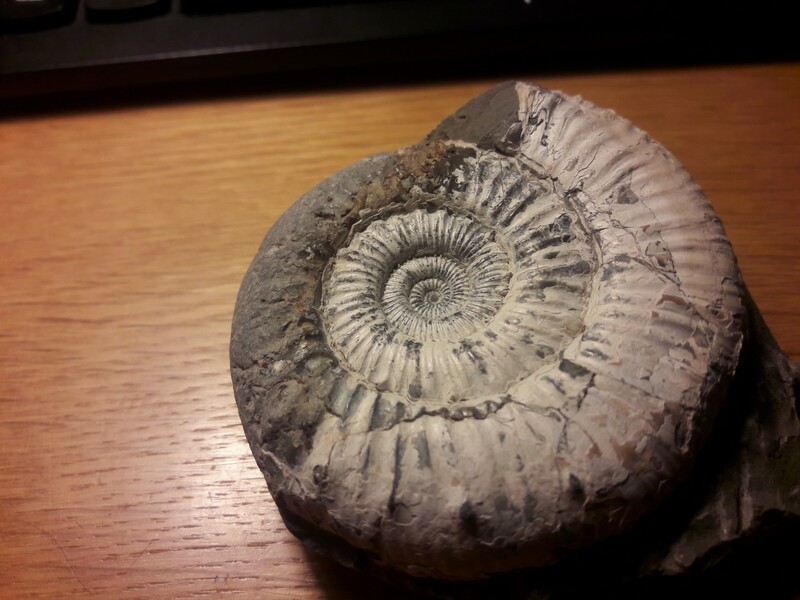 It does look like a Peronoceras fibulatum, but this type of preservation with a white shell is unknown from the Yorkshire coast. I have tried to clean it up some more and you can clearly see spines on the reverse side. This type of shell preservation is common in the Callovian / Oxfors clay Ampthill clay. 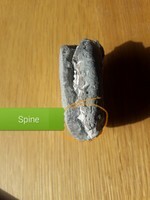 Hello, the inner ribs are clearly looped; therefore I think it is a Peronoceras sp. That's the one. I agree it is a peronoceras but where would it have come from? Presumably not from the UK? Anyone got any ideas? 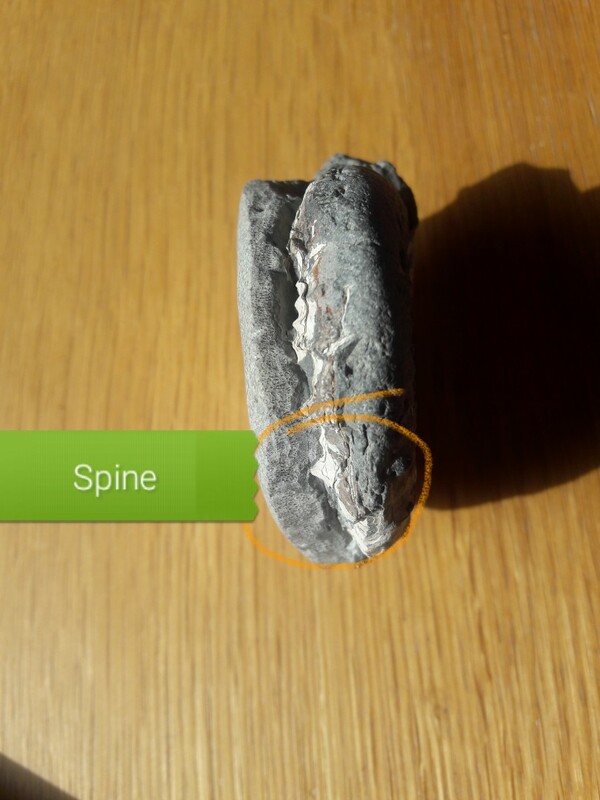 Wrren - it might have well have been found by a diver along the Yorshire Coast - range upper lower to middle jurassic I believe. 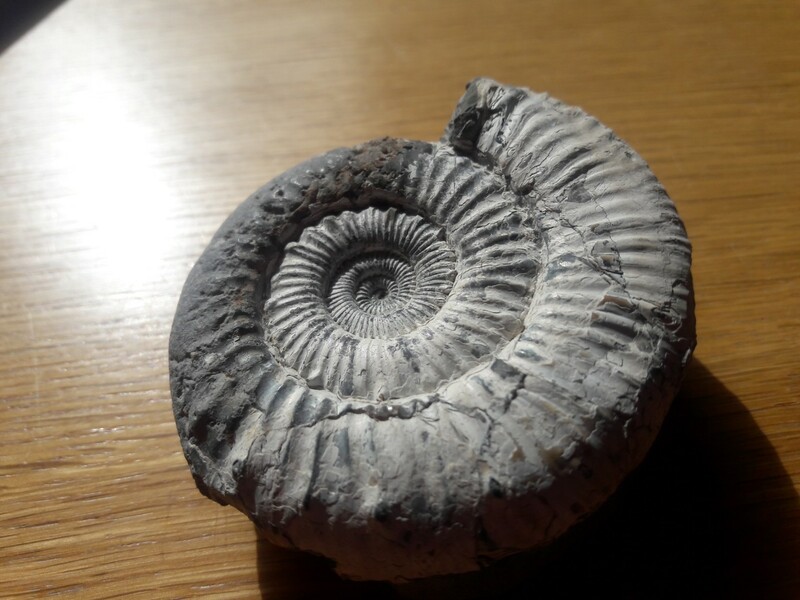 South of the Humber, the Toarcian ammonites can have a white shell preserved, quite unlike the more familiar Yorkshire coast preservation. 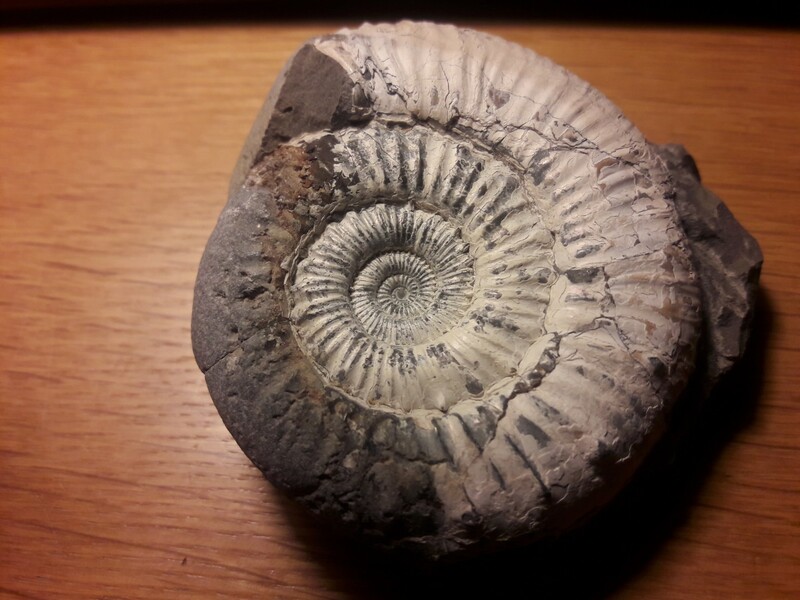 My thoughts are that this Peronoceras is from a facies of the Whitby Mudstone Formation similar to that found in North Lincolnshire, but originating offshore in the North Sea, maybe dredged up by Quaternary ice and then found by the diver on the seafloor. Many thanks that sounds correct to me.